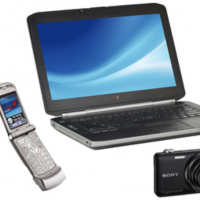 Calling all readers who purchased a laptop, mobile phone, tablet, camera, cordless power tool, or camcorder in the past! If you’ve made at least ONE qualifying purchase (as stated here) in the USA between January 1, 2000 through May 31, 2011, you can get money back! This settlement is about how they allegedly fixed the price of cylindrical lithium-ion battery cells therefore charging individuals and businesses more. No proof of purchase is required but please do not fill out the form if you never purchased these products! Go here for more details and to file a claim! Keep in mind, this may take months or years to payout. Spread the word!